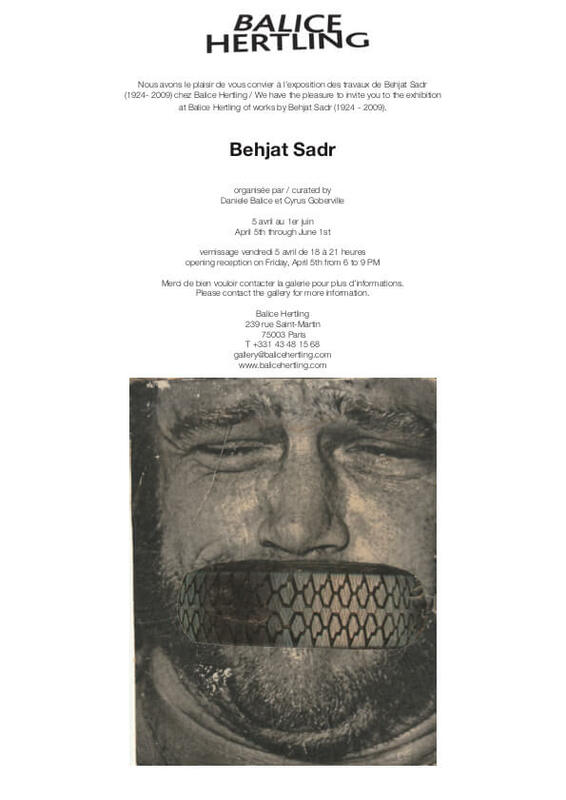 A catalogue raisonné of Behjat Sadr’s work is currently in progress. If you are in possession of one of her works, the project encourages you to have it included in the catalogue raisonné. When included, you will receive an authenticity certificate of the work free of charge. Behjat Sadr (1924–2009) is the abstract painter of paradoxical traces, blending luxuriant nature with the sharp-edged industrial world in works that spanned the second half of the 20th century. A pioneer of the visual arts in Iran, she was one of the first women artists and professors to appear on the international biennale scene in the early 1960s. She offers the singular testimony of a nascent cosmopolitan modernity that emerged in Tehran, Rome and Paris, the cities where she studied and exhibited. Above all, Behjat Sadr embodies an extraordinary fusion of work and life, evident in her multiform layers of gushing and overflowing paint.